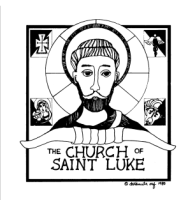 The Church of St. Luke is excited to offer dynamic gatherings designed specifically for young adults ages 18 to 35. Join us every Tuesday in the Youth Room from 6:30-8:00pm as we discuss life's important issues, our Catholic faith, and where God fits into our everyday lives. If you have any questions regarding Young Adult Ministry please contact Evelyn Beale by phone at (619) 442-1697 ext. 106 or email HERE.